On hand for the announcement were: DHHS Commissioner Jeff Meyers, Catholic Medical Center CEO Joseph Pepe, Gov. Chris Sununu, Senate President Chuck Morse, N.H. Hospital Association President Steve Ahnen and Dartmouth-Hitchcock CEO Joanne Conroy. New Hampshire hospitals are stepping up to make sure the state’s alcohol fund is financially sound for the next five years. Gov. 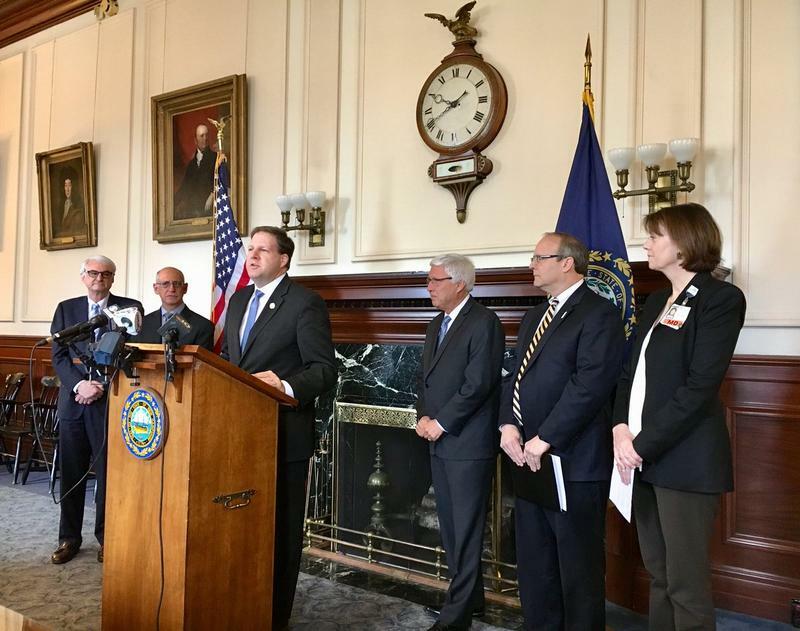 Chris Sununu made the announcement Friday morning, joined by Senate President Chuck Morse, Department of Health and Human Services Commissioner Jeff Meyers and health executives from across the state. Altogether, New Hampshire’s 26 hospitals are expected to collectively contribute about $50 million toward the alcohol fund. That, in turn, will be used for prevention, treatment and recovery programs for all kinds of substance misuse issues. While New Hampshire law mandates that 5 percent of state liquor profits be put into this fund, the Legislature has historically diverted that money elsewhere. Michele Merritt, who leads the advocacy group New Futures, said the hospitals’ funding commitment marks a significant milestone for the state. Exactly how the new infusion of hospital money will be spent will be up to the Governor's Commission on Alcohol and Drug Abuse Prevention, Treatment and Recovery, which is responsible for administering the alcohol fund. But the governor has his own “wish list” of priorities. Sununu also signaled an interest in finding ways to make the “Safe Stations” program more sustainable and building out a more robust, age-appropriate drug prevention curriculum for students as young as first grade. Moving forward, New Hampshire is also hoping to use money from the alcohol fund to support Medicaid expansion. The governor says the hospitals' money will not be used to directly pay for that program but will help to “back-fill” the alcohol fund after money is taken out for that purpose. When lawmakers last renewed Medicaid expansion in 2016, they arranged to have “voluntary donations” from hospitals cover part of the state’s share of funding the program. But in August 2017 the federal government told New Hampshire, definitively, that this funding scheme was illegal because, in their view, there was too close a connection between the hospitals’ donations and the viability of the program. “The fundamental consideration for provider-related donations … is whether there is an expectation that the donating provider, provider class, or any related entity can expect to receive – in a direct or indirect manner – all or any portion of the donation back through Medicaid or other payments,” an official with the federal agency that oversees Medicaid wrote at the time. 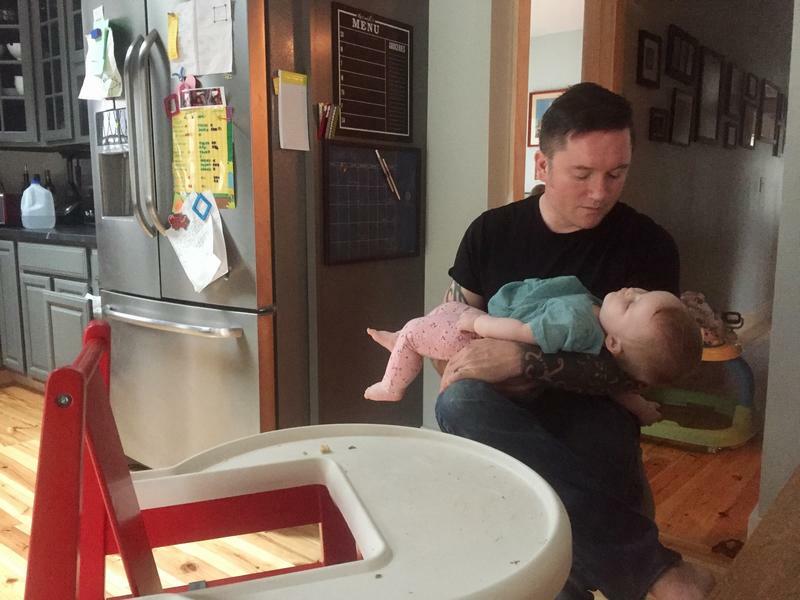 Everyone in New Hampshire knows the state is grappling with an opioid crisis. But some advocates are worried we are forgetting about a problem that’s been with us for much longer. A plan to extend New Hampshire’s Medicaid expansion another five years cleared a major hurdle in the House of Representatives on Thursday. 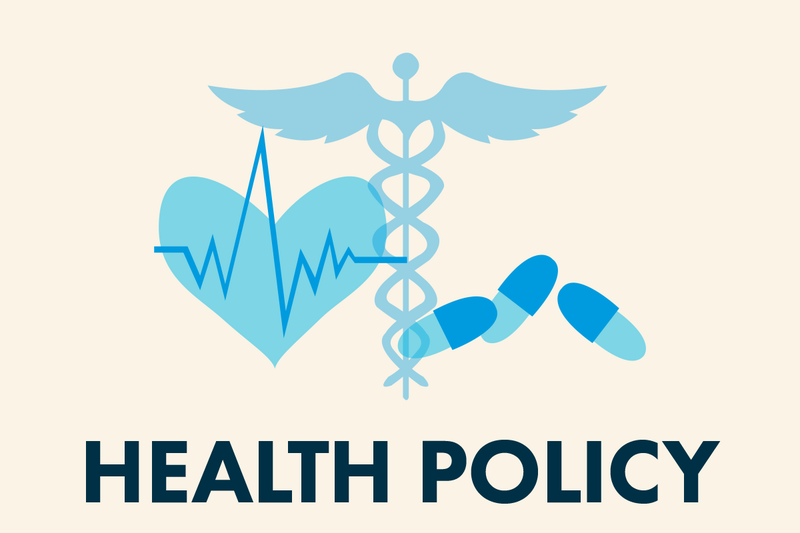 The House approved the bill by a vote of 222-125, over the objections of some Republicans who argued Medicaid expansion has been a failure and has driven up health insurance costs. The New Hampshire Liquor Commission set an all-time sales record of $698.2 million during the 2017 fiscal year. That’s an increase of 2.92 percent, or $19.8 million, from the previous fiscal year. According to the liquor commission, $155.7 million in profits were transferred to New Hampshire’s General Fund, which will be used for programs like education, health and social services, transportation, and natural resource protection. Another $3 million dollars was transferred to the state’s Alcohol Abuse Prevention and Treatment Fund.